The 2006 Census reported that 426 people lived at Bidyadanga Community. However, the population is now estimated to be closer to 800. Around 160 people (one-fifth of the population) regard themselves as Karajarri (Edgar 2011). In the 2006 Census at Bidyadanga Community, seven people reported that they spoke Karajarri at home, while 78% of the Community spoke English (or Kriol) and/or other local languages at home. The major settlement in Karajarri country is Bidyadanga Community, reportedly the largest Indigenous community in Western Australia.Some Karajarri people also reside on “outstations” or small dwellings within the land surrounding Bidyadanga.The closest town is Broome, lying 200 kilometres to the north, which is the largest centre in the Kimberley region and another stronghold of Karajarri people. From the mid-1950s up to 1974, many neighbouring desert and coastal tribes–principally Mangala, Juwaliny, Yulparija and Nyangumarta –re-located to the former La Grange Catholic Mission, making Karajarri people a minority at their principal settlement. In 1981, administrative management transferred from the Mission to the Aboriginal communityof Bidyadanga. Traditionally Karajarri people resided within three broad clan estates and in turn speak slightly different dialects: the Nangu from the desert north-east, the Nawurtu from the desert south-east with the Naja saltwater clan along the coast. 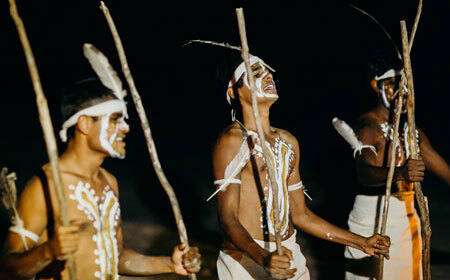 Karajarri people today live in a modern world underpinned by their cultural values and traditions. In the face of European colonisation during the late 19th and early 20th centuries, which resulted in the loss of their land and profoundly altered their lives, the Karajarri fought hard to stay on their country and strove for their traditional ownership to be recognised. In 2002 and 2004, under a consent determination, Karajarri people were recognised as the Native Title holders ofmost of their traditional lands, including the coastal land of the Frazier Downs Station lease. 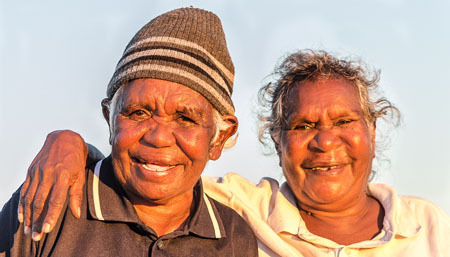 Subsequently, the Karajarri Traditional Lands Association (KTLA) was established to manage native title on behalf of the Karajarri Traditional Owners. 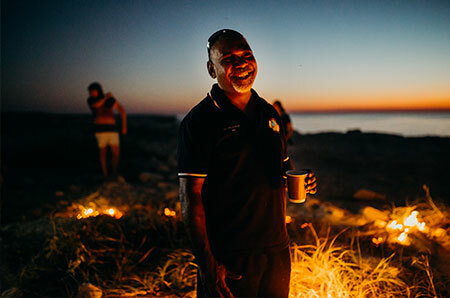 Karajarri people are the traditional owners of the lands from far into the Great Sandy Desert tothe intertidal zone along the southwest Kimberley coast. For Karajarri people the country, plants, animals and the water are wankayi (alive). Arising from their spiritual conception, yartangkal, Karajarri people are born with a binding and inviolable responsibility to keep the country wankayi, and view their environmental responsibilities as ‘palanapayana tukjana ngurra’ —‘everybody looking after country properly’.